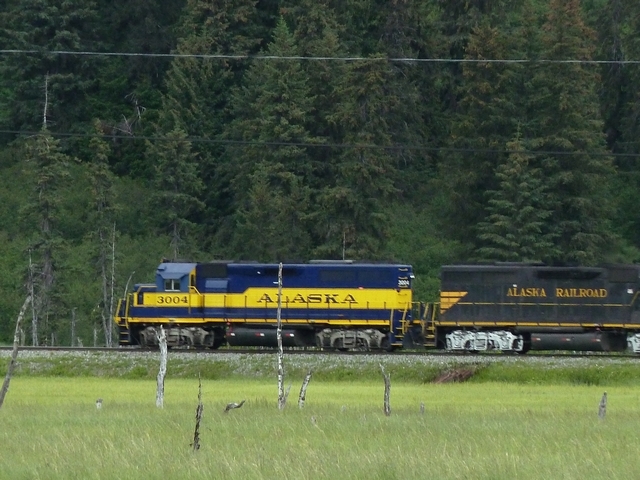 Once upon a time, I would visit Alaska on an annual basis. 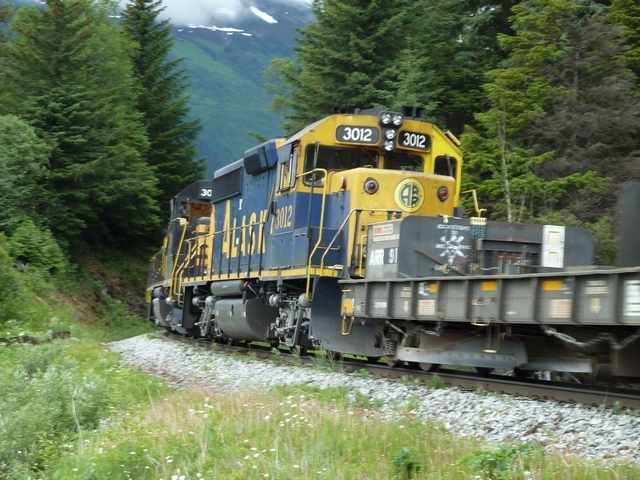 OK, on average, I do. The most recent trip was just a plain ol' fishin' trip with a friend. 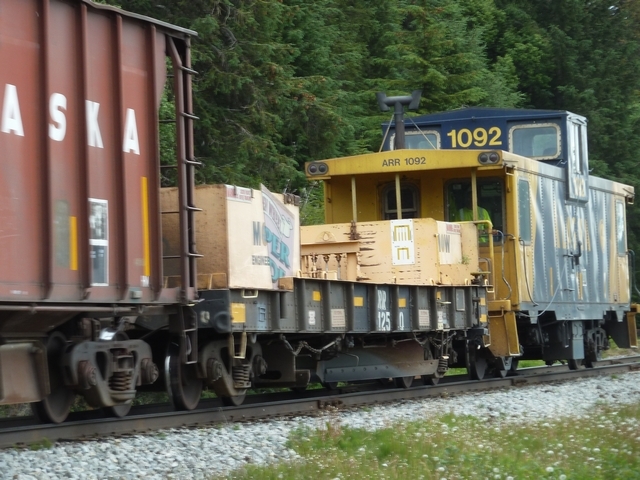 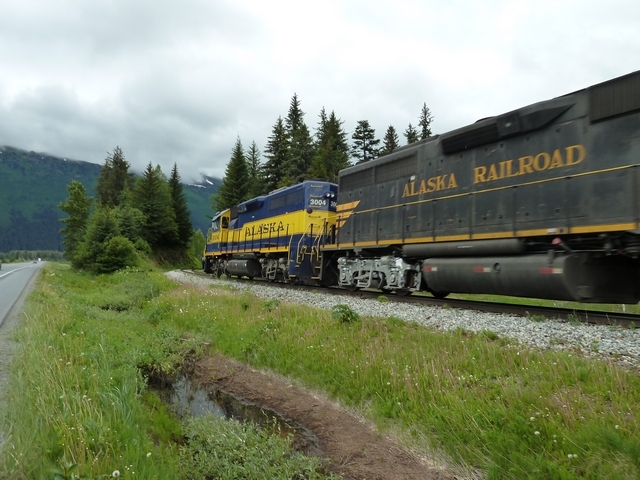 The route to and from fishing paralleled the Alaska Railroad for about 40 or 50 miles. 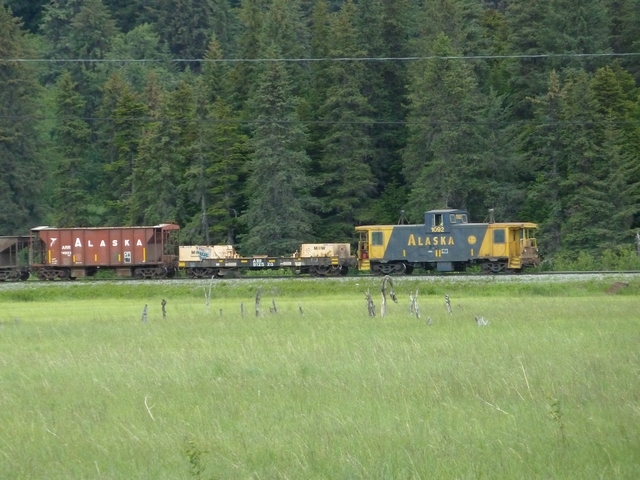 I saw nothing of interest on the way away form Anchorage, except for a parked work train without power just south of Potter Marsh. 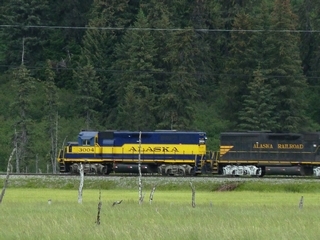 On the last day heading back to Anchorage, we spotted signals at Portage which indicated something either imminent or past. 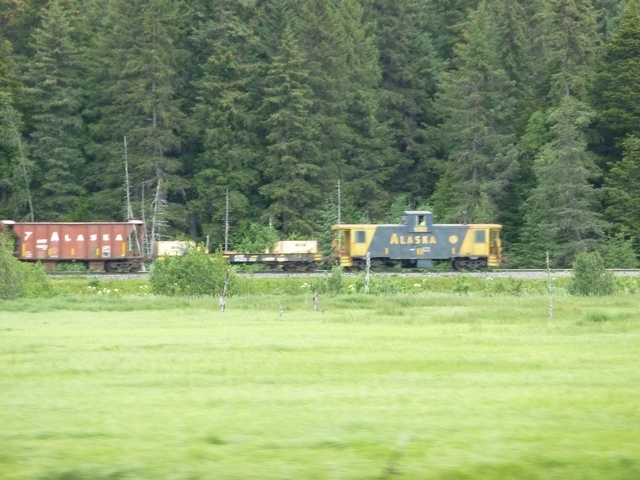 Being the passenger, I could try to look back at any railroad singals we passed. 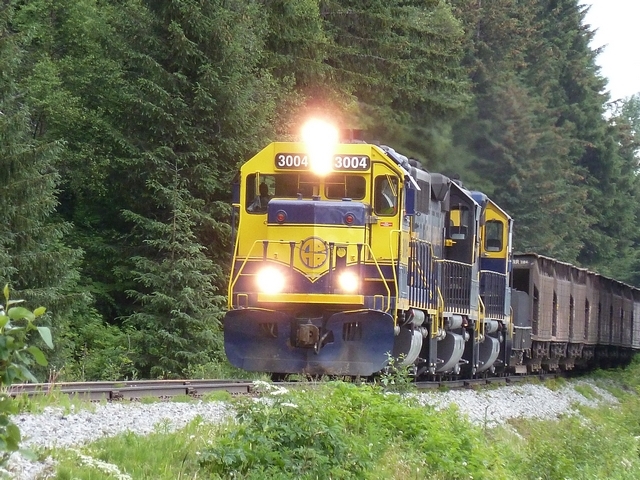 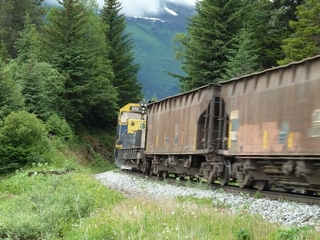 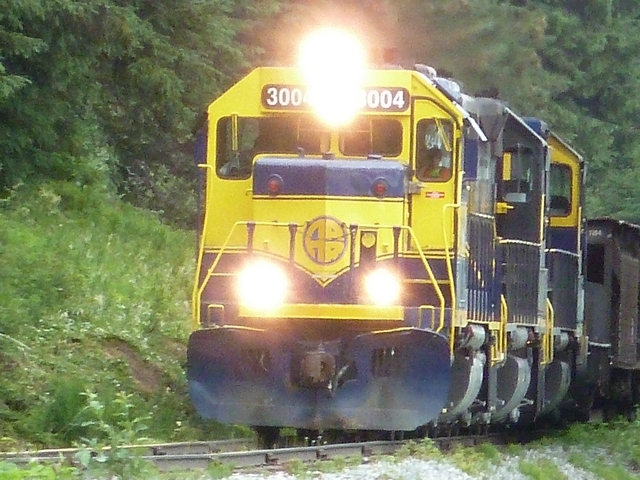 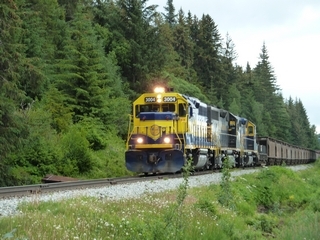 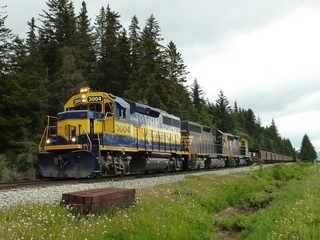 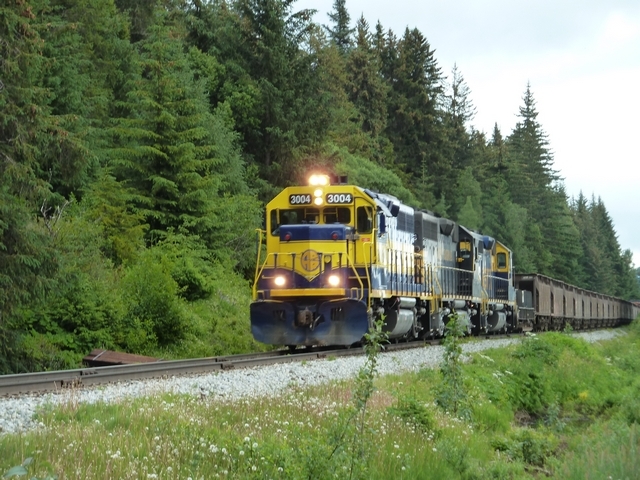 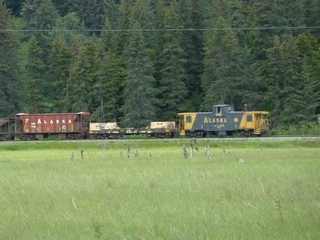 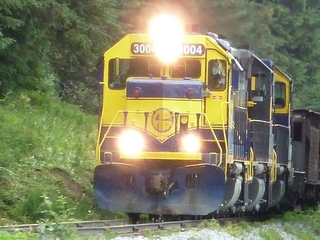 Between Portage and Girdwood, the Alaska Railroad tracks meander through the forest and at other times are out in the open parallel to the Seward Highway. 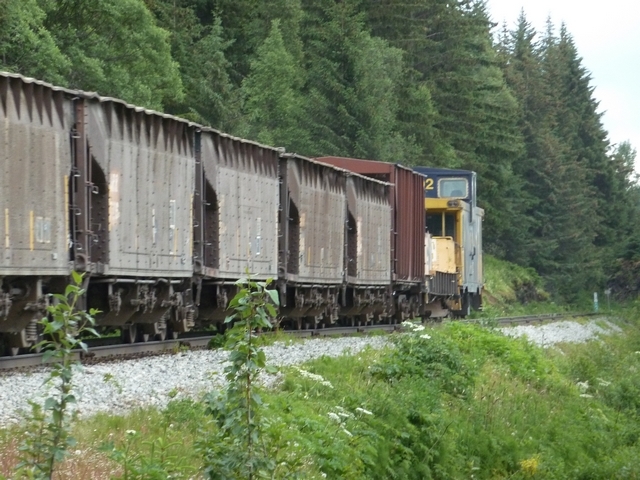 Since I had nothing better to do, I stared into the forest, and finally, I saw a caboose. 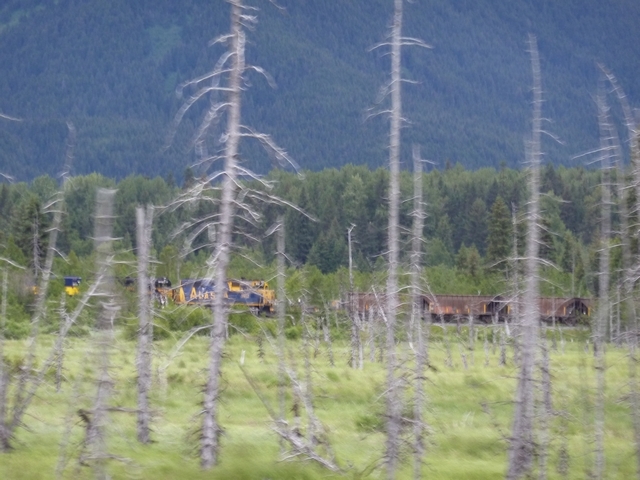 Huh, getting excited about seeing a train while being driven around by a railroader is good at times. We got ahead of the work train and pulled over at the end of a tangent stretch of track and waited several minutes for the train to approach and pass us. It was interesting that the train entered a curve in an original construction cut established almost 90 years ago. 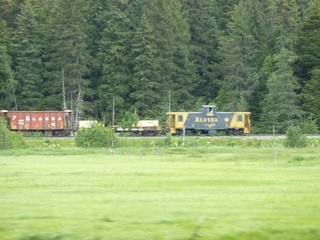 Now the train has passed. 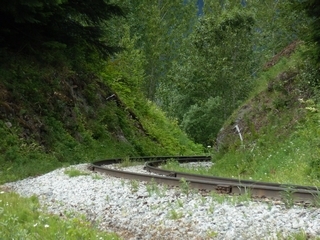 What to do next? 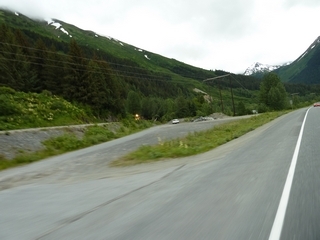 Oh, get back into the truck and pace it. 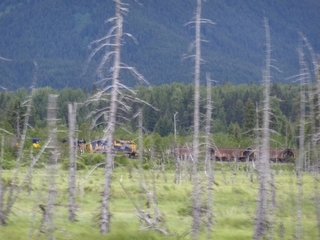 Through the dead forest, it is barely visible. 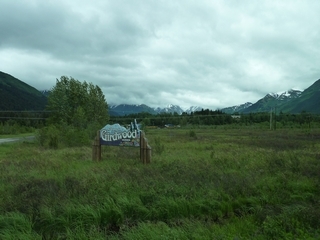 Then, we approach Girdwood. Some days earlier, while waiting to get a drift boat launched at Kasilif River, some woman approached us and chatted for a minute with the 3 of us. I somehow fumbled asking her if she was from California. 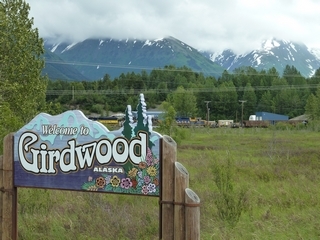 Her reply was "I'm from (expletive deleted) Girdwood." 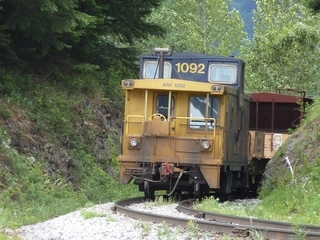 Steve's quip was, well, it became an inside joke, never to be revealed. 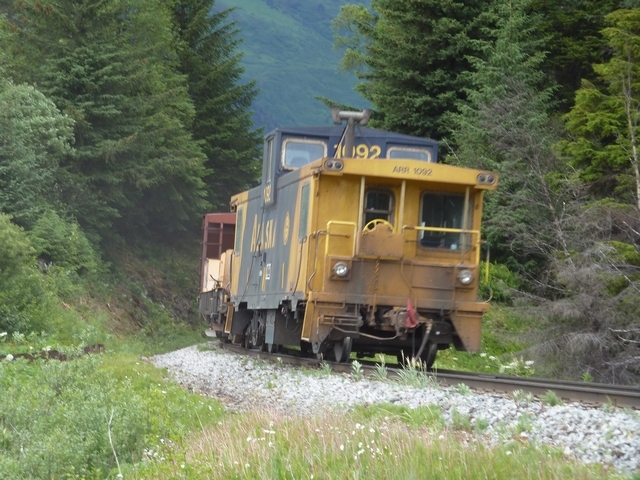 Nevertheless, the train flew through Girdwood and we paced for several more miles.